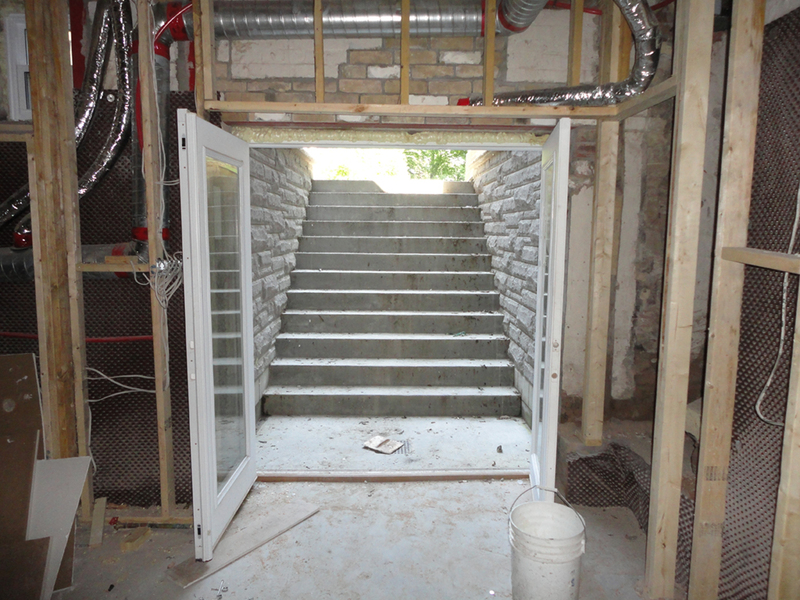 Basement Lowering, Underpinning and Basement Renovations - K. H. Davis Engineering Consultants Ltd. Typical cost for preparing the complete design package required by the municipality for a basement lowering project is between $2,800 (for underpinning design only) to around $3,800 if you want us to design the new interior basement space (show floor drains, new laundry room layout, specify insulation & show location of new stud wall partitions, etc.). 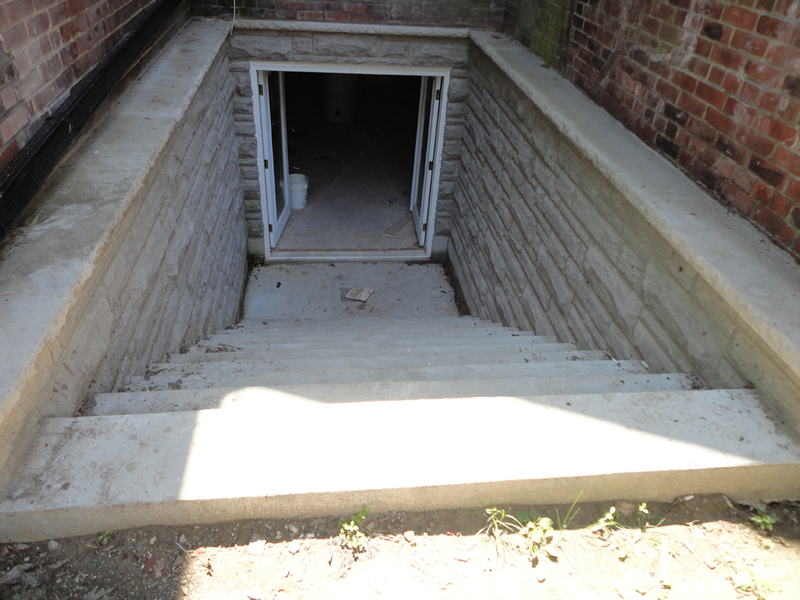 If you are also adding a basement walkout, then additional cost will apply. Note that the above fees assume that you have supporting documents for your property, such as a survey, available for our use. The above fees do not include the cost of construction field reviews which are often required by the municipality. 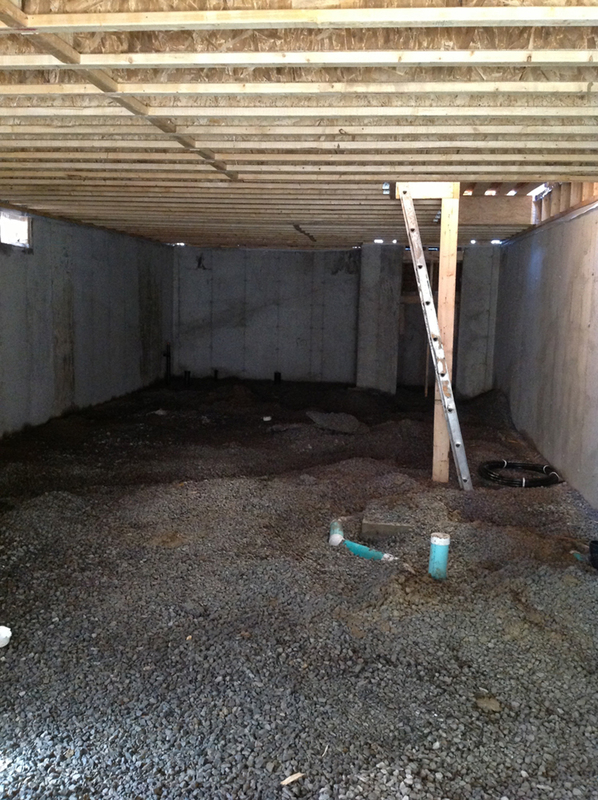 If you are planning to lower your basement floor, then you will require a building permit, and almost undoubtedly, the Municipality will require that you retain a Structural Engineer to prepare drawings for you. 1. Underpinning the foundation walls: In this method, a staged sequence of holes are dug-out from under the footing of your home. 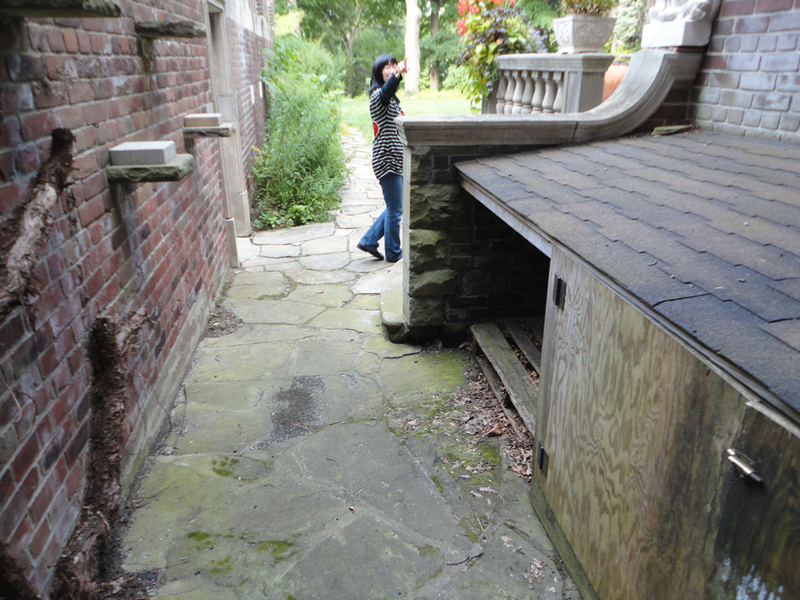 (The footing is the concrete or brick pad which spreads the load of the foundation walls onto the soil.) Typically, a 3′ wide holes, separated by at least 6′ of undisturbed soil, is prepared and filled with concrete. Once the first stage of underpinning segments are complete, then the adjacent 3′ wide segments are dug-out, and the underpinning process is repeated. Here, the idea is that you first extend the footing of the house to a lower level, after which you can safely dig-out the soil from the inside of the basement, without undermining the foundation walls of the house. As long as the underpinning process is completed before the basement is dug-out, the process is very safe and straightforward. 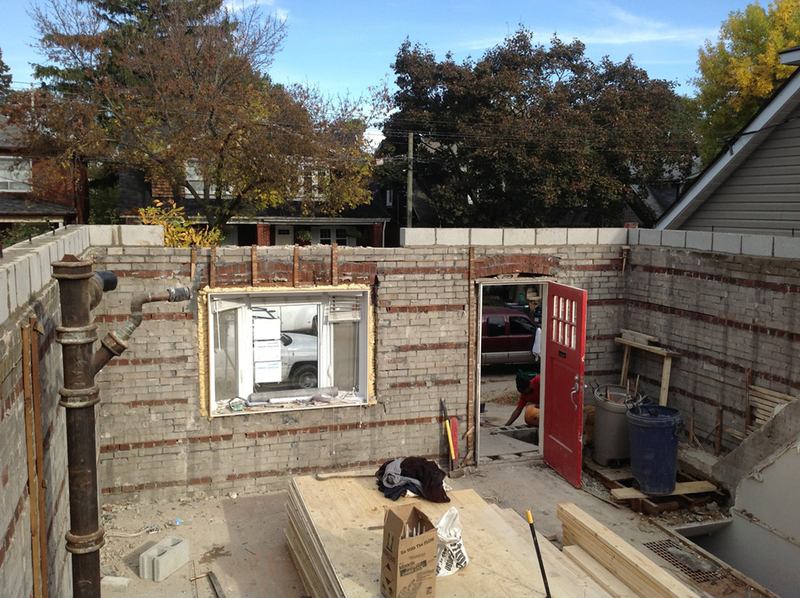 The process is very labour intensive, and typically costs around $400 per linear foot of foundation wall to be underpinned. 2. Benching: In this method, a stable soil slope usually not exceeding 7V:10H is maintained between the subgrade under the lowered basement floor level, and the underside of the original footings (to avoid undermining the footings). Then, a steel reinforced concrete “bench” is poured over top of the stable soil slope and footing, to ensure that the soil slope is protected. 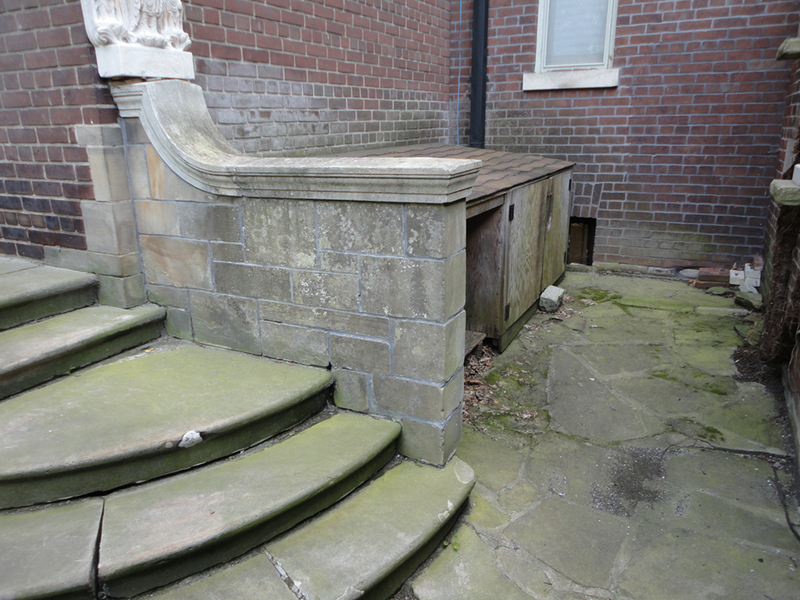 This process is less expensive than underpinning, however it leaves you with a concrete bench around the interior perimeter of the basement. Recently this has fallen out of favour due to the fact that municipalities now require that the “bench” must contain reinforcing steel, and this adds cost to the work. We generally don’t recommend using benching if you plan to lower your basement floor more than about 12 inches. See our downloadable info sheet for much more information about the overall process. Regardless of the approach used to achieve your lowered basement floor, the Municipality is likely going to ask you to have your Structural Engineer carry out periodic inspections of the underpinning operations, and to provide the Municipality with Site Review Reports which confirm that the underpinning work is being carried out in accordance with the approved design. Site Reviews during construction always include a written report to the Municipality and are charged for separately on an as-needed basis. Always have a plumber check the level of the sanitary sewer connection before starting this type of work. If the sanitary sewer connection in front of your house is higher than your new basement floor level, then you may have to install a sanitary ejector pump in the basement at an additional cost (usually around $4,000). In some cases, the underpinning of your foundation walls may encroach upon the stable soil mass which supports your neighbour’s footings. Assuming that the underpinning process is carried out in the proper staged sequence and assuming that there are no unusual soil conditions present, then usually this is not a problem and underpinning can still be carried out with a properly engineered design. However, each situation is unique and in some cases, the design engineer may recommend to not underpin, or they may recommend that you underpin the neighbouring foundations as well, as part of the overall project. Finally, make sure that the water table is not so high that your new basement floor is “underwater” or very close to the water table level. Ideally, the water table should be at least about 24″ below the bottom of the newly underpinned wall, since soil bearing capacities must be reduced when the new bottom of underpinning level is close to the water table level. Also, high water table may require excessive pumping on an ongoing basis which is costly and can be problematic. My neighbour want’s to underpin the shared wall between our houses and he is asking for our permission to do so. What should I do to protect myself? This is a very good question, especially in view of several recent high profile collapses of houses during underpinning work. First, know that underpinning is safe provided that it is being done by a competent contractor. As long as the work is carried out properly, there is little to be concerned about. Ask the neighbour’s Contractor provide evidence of insurance which names you and your property as an additional named insured. Specifically make sure that the insurance policy clearly indicates that the contractor is insured for underpinning operations. A standard commercial liability policy is not sufficient. Many underpinning contractors don’t know that they need a special type of insurance for this type of work. If it turns out that the contractor does not have the proper insurance, then that’s not a good starting point, and likely the contractor is inexperienced – request that the neighbour get a new contractor. Ask for the Contractors City of Toronto License number, to make sure that he is a licensed contractor. If you allow the neighbour to carry out construction on the shared wall, then you will be viewed as a “party” to the construction project and therefore potentially liable for damages which could arise during construction. For this reason we recommend that you contact your house insurance company to let them know that the neighbour is working on the attached house and that some work will be on the shared wall, and that you are being asked to provide permission for this work. A building permit (an administrative permit) will be issued for your property once you grant this approval. You want to confirm that your insurance coverage remains in full force once you grant permission for the neighbour’s contractor to carry out work on the shared wall. It is possible that you may need to purchase a separate insurance binder to cover your house during construction operations. Ask the neighbour’s structural engineer to copy you on his site inspection reports, so that you can be informed about the progress of underpinning work. Sample basement floor lowering info sheet for clients. Download a sample basement floor lowering info sheet for clients. Learn more about Permits including; Building Permits, Demolition, Applications, Requirements and Forms.